What is more Irish than potatoes and appropriate for those under 21 ? Nothing! 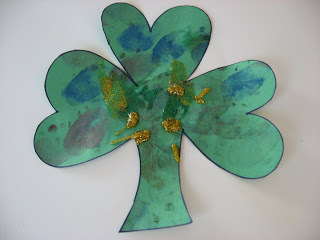 This is a perfect St.Patrick’s Day craft for young toddlers and those just starting out with art. I am using a stamp pad because we already painted a bunch this week but paint will work well too, just spread it thin on a plate . 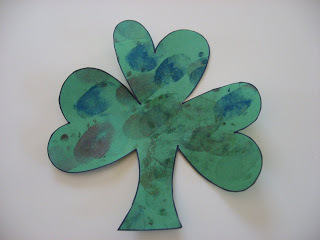 After this simple project my son begged for “gooey goop” so he added his own final step onto the easy peasy shamrock ! Gather your materials. You will need a few new potatoes. 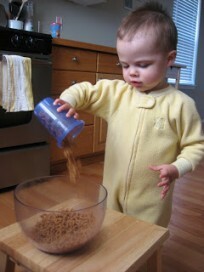 They fit perfectly in your child’s hand! Also, you’ll need paper, a marker, scissors, and a stamp pad. 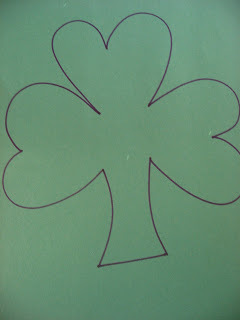 Draw a shamrock on the paper with the marker. 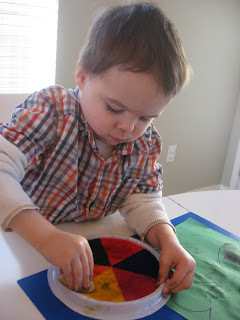 Cut the potatoes in half, this can also be a fun way to learn about ovals, the cut potatoes make perfect little ovals! 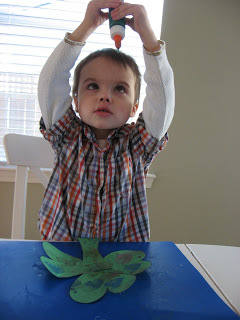 Start stamping your St. Patrick’s Day craft! 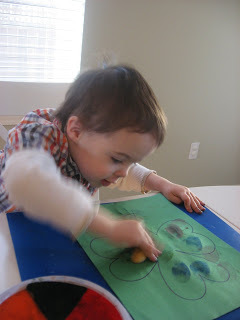 My son got very into it- and was slamming the potato into the paper. With the stamp pad this is okay, but with paint, this would result in a major mess. If you want you can grab whatever you have to embellish it, my son asked specifically for the glitter, so I wasn’t about to say no. This is the upgraded one after my son added his personal touch of green and gold “gooey goop” (glitter glue). All books contain affiliate links. 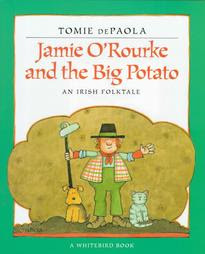 Jamie O’Rourke and the Big Potato by Tomie DePaola is not my favorite book. I am sorta torn on how I feel about it. I liked the signature de Poala illustrations. But the story itself, which is an old folktale, just wasn’t really one I was eager to read my son. It’s about Jamie who is lazy, and he makes his wife do everything and only when she is hurt and in bed does he go off to get something done. Then when he meets a leprechaun he doesn’t get the pot of gold instead he gets a potato… It just fell flat for me. The author has many books I love and maybe my expectations were too high but this one was just so-so. Cute! We have potatoes here that are right on the verge of needing to be thrown out, but I’m sure would still work for this. We might have to give it a try! You are having so much fun in your house!! Need to make some time to just do some fun crafty stuff with my 4 and 6 year old, although we did do paint symmetry last night. That was a lot of fun! 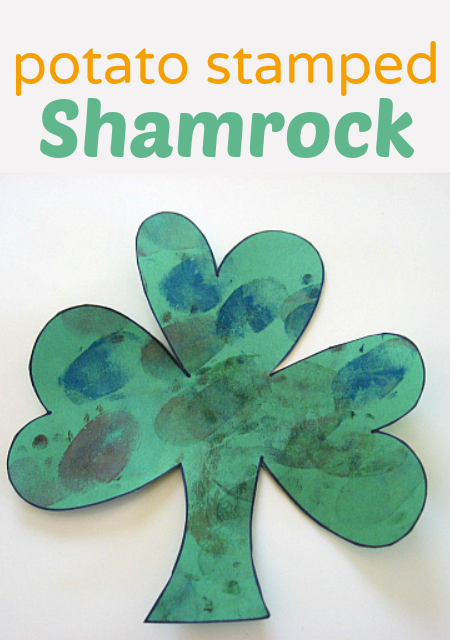 Want to focus on some St. Patrick’s Day fun- thanks for posting all of these fun ideas for little ones! This activity looks really fun! I’m wondering where you bought the stamp pad? Thanks! Janelle- I got it at Micheal’s in the kids section, Lakeshore learning also has similar stamp pads. You are very welcome ! Thank you for your kind words, it makes it all worth it ! 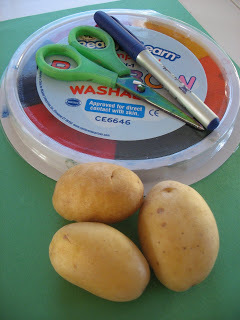 Oooh, I need to make potato prints! Ours are sprouting as we speak…perfect timing!! Thanks for sharing this!